The Eton FR600 Solarlink is just the ticket when your outdoor adventures take you off the grid! You need a device that can fill multiple needs. 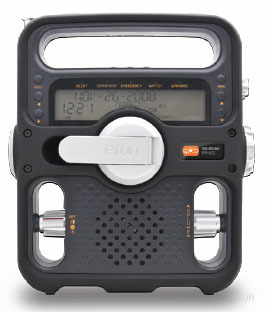 It functions as an AM, FM, and shortwave radio with NOAA weather band. The bands are selected by a rotary switch on the right side. Unlike the previous FR500, the FR600 supports S.A.M.E. weather notification technology and employs a digital tuner. It also has an LED flashlight, an emergency beacon and an emergency siren. Plus, you can use it to charge your cell phone or MP3 player. This little wonder can be powered with the hand crank, or solely by the sun—solar panels make this a very “green” device. Of course, battery power and AC power are also options. It receives the AM band from 520-1700 kHz, FM 88-108 MHz and shortwave 5800-12200 kHz. It also gets all seven NOAA weather channels. The controls are easy to use and the digital display is even backlit. And the cool thing is that this radio may be powered four ways! It has a dynamo hand crank that recharges the built-in Ni-MH battery. Solar cells are built into the top of the handle that can also recharge built-in Ni-MH battery. 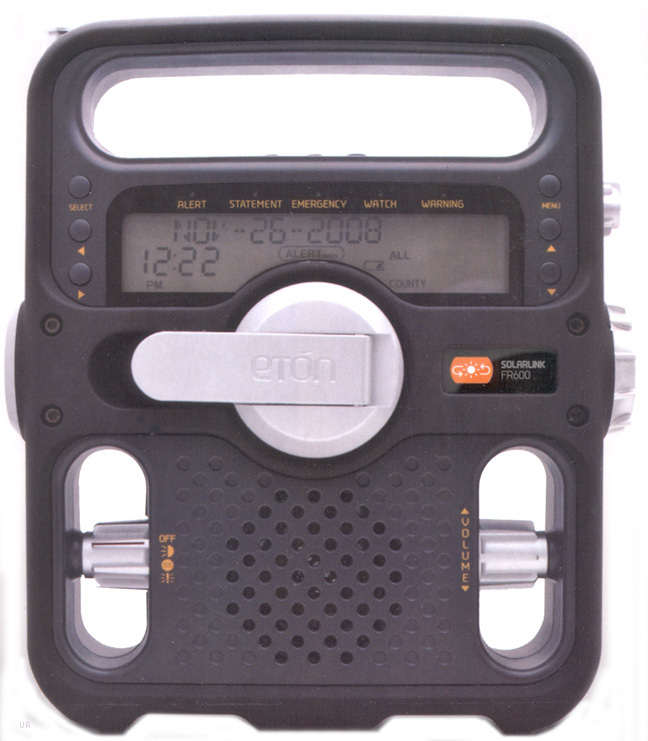 This radio can also operate from three regular AA cells (not supplied). It can also be operated from 120 VAC via a USB wall adapter (not supplied). 7.75 x 8.5 x 2.5 inches 1.9 lbs. Copyright 2009-2013, Universal Radio, Inc.